We are a leading Manufacturer of stainless steel end mills and shell end mills from Rajkot, India. With enriched industrial experience and knowledge, we are providing our clients with a wide assortment of Stainless Steel End Mills. Designed with utmost precision, the offered mills are manufactured using quality-assured raw material with the aid of sophisticated techniques in synchronization with predefined industry standards. In addition to this, the provided mills are used in industrial milling applications. These mills undergo several tests by our quality controllers, in order to ensure their defect free nature. We offer our clients quality range of Shell End Mills at par with industry standards, namely B.S.S 122 PART 1-1953 and I.S 6257-1971. These have teeth on the periphery as well as on one end, and a drive slot at the back. 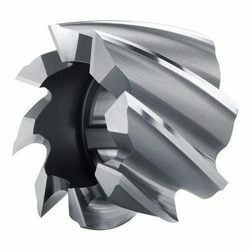 The drive slot may also be used along with the standard end mill arbors. 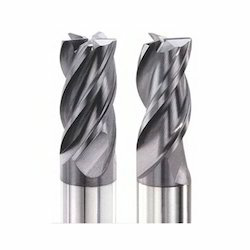 These are used for end (face) milling, where the right-hand helical cutting edges facilitate right-hand rotation.